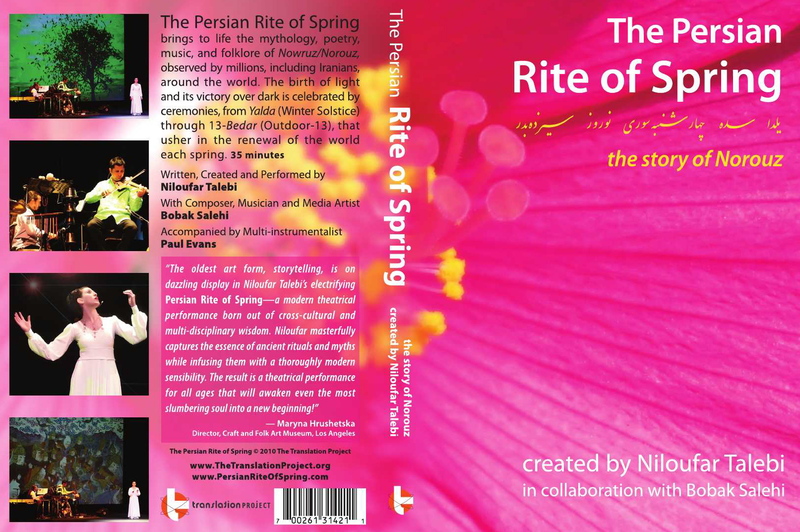 We are proud to announce the release of The Persian Rite of Spring DVD, a show that tells the story of Norouz/Norooz/Nowruz on Equinox. The celebrations of lengthening days and the coming of spring begin on Yalda (Winter Solstice), and continue through Jashneh Sadeh (January 30th), Chaharshanbeh Soori (March), Norouz and finally 13-Bedar two weeks into spring. So the holiday season continues as we countdown to Norouz throughout winter! Norouz is a UNESCO ‘Intangible Cultural Heritage of Humanity,’ and an official US Holiday. Learn about it, practice it, and GIFT ITS STORY to friends, family and colleagues all over the world, and at your Norouz parties. DVDs are now available for individual and bulk orders via Paypal below. Contact us to bring the live Persian Rite of Spring theatrical show to your city, or arrange DVD screenings and signings. We are proud to announce the upcoming release of the concert edition ICARUS/RISE DVD in Summer 2009 on Amazon.com. View a sample clip and buy your copy here. Read Niloufar Talebi’s article about oral storytelling traditions in Iran, ‘Memory of a Phoenix Feather‘ in the July/August 2009 issue of World Literature Today. ICARUS/RISE is inspired by the Iranian spoken word traditions of ‘Naghali‘ and ‘Pardeh-dari,’ which are practiced in the streets, cafes, public rituals, or ‘art music’ stage. 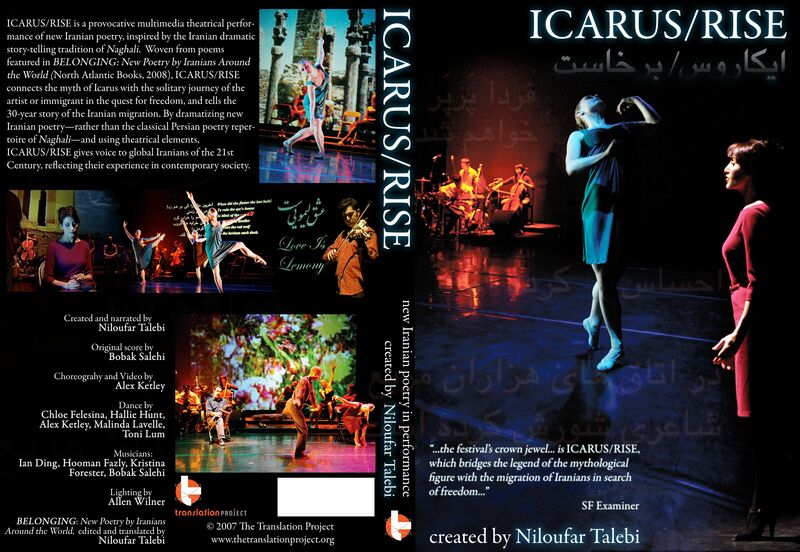 By giving this spoken word tradition new content (new poetry in BELONGING) — rather than its usual content of classical Persian poetry and myths — and fusing it with western theatrical elements, ICARUS/RISE gives voice to hybrid-Iranians, reflecting their experience in contemporary society. Midnight Approaches DVD is released!